It is a lovely evening and after a nice walk, Lucy and I head for a bite to eat at Al Duomo, situated right in the heart of Brighton, next to the Pavilion. 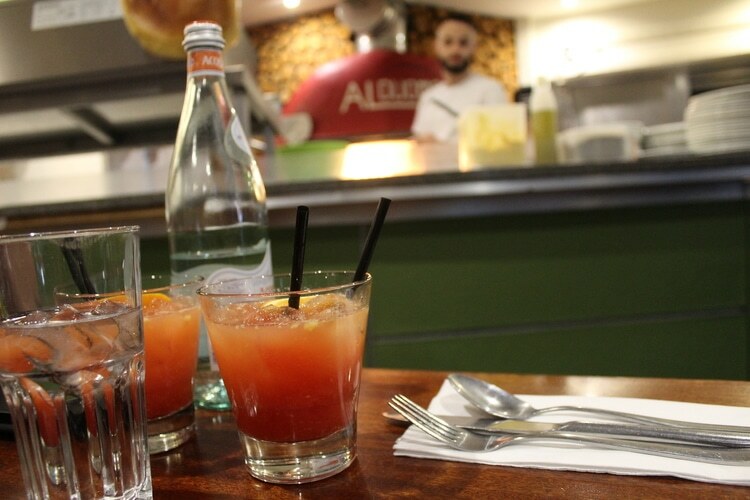 Al Duomo is a wonderful family run business, spreading across three generations and this shows through their passion for great food, drink and wonderful service. We are greeted at the door by Carlo, son of the owner, and shown to our table. He is so friendly and enthusiastic about the business it is infectious and he has put together a wonderful selection of dishes for us to try. Before we tuck into the food though he insists we start the meal in the Italian way with an apéritif; he suggests Campari with fresh orange for a fresh start to the meal and I can see why. 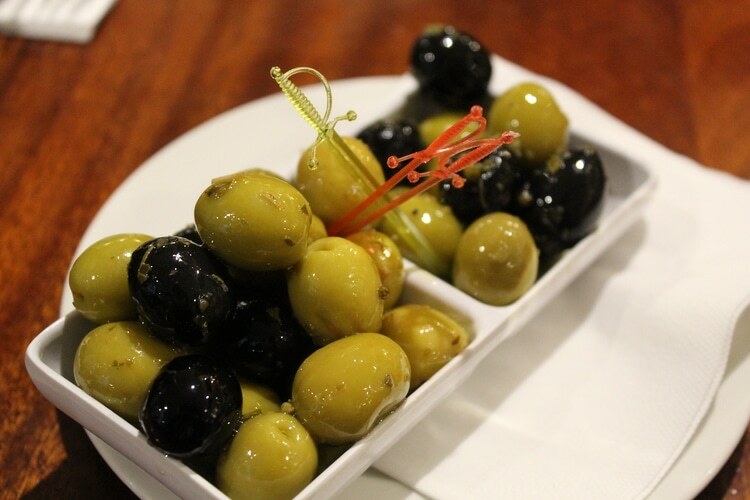 As we share some juicy, bitter olives with our drinks it reminds me of holidays in Italy; I love the vibe of this restaurant. Carlo explains he will filter in dishes for us to try as they do around the family table at home and we are very excited when the waiter brings over arancini balls, parma ham with melon and parmigiana. With our table full with starters we tuck in. 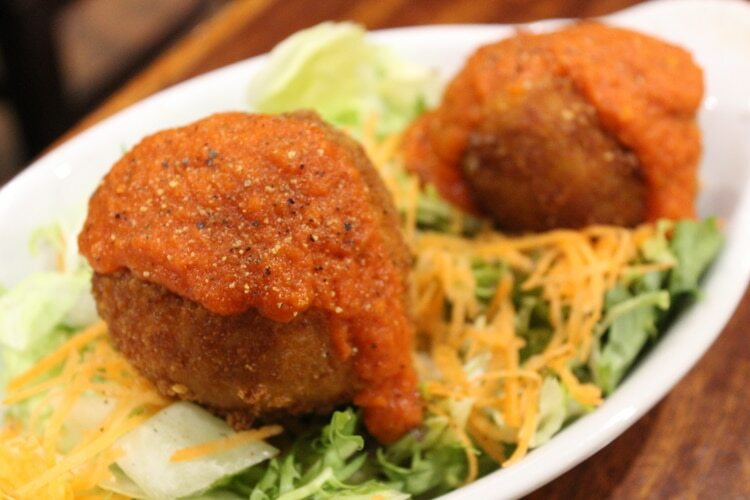 The arancini balls are stuffed with mozzarella and peas and coated with breadcrumbs. They are deep fried to give that the crunchy coating and served with a tomato salsa that compliments the filling, which itself is light, yet full of flavour and a great way to start.The parmigiana is gluten free and the aubergine is cooked and seasoned perfectly, the tomato sauce and mozzarella coat the dish and bubbling cheese on top make this a real Italian classic. 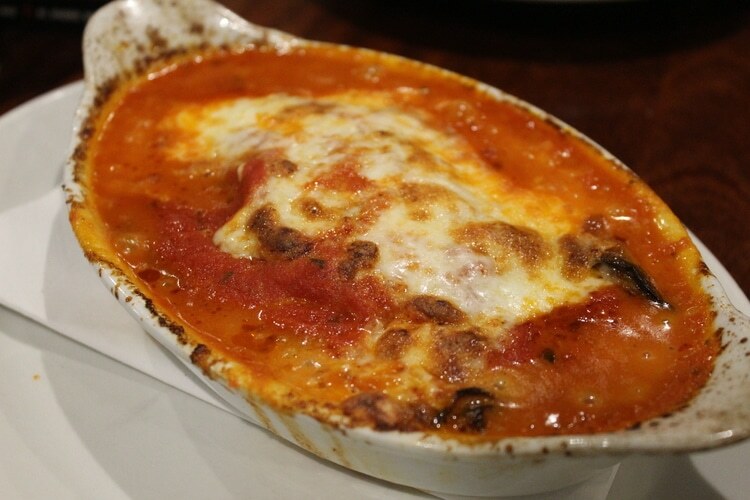 The parmigiana is gluten free and the aubergine is cooked and seasoned perfectly, the tomato sauce and mozzarella coat the dish and bubbling cheese on top make this a real Italian classic. Al Duomo have shown so many new Italian restaurants why they have stood the test of time, they deliver timeless Italian classics faultlessly and make you feel part of the family. 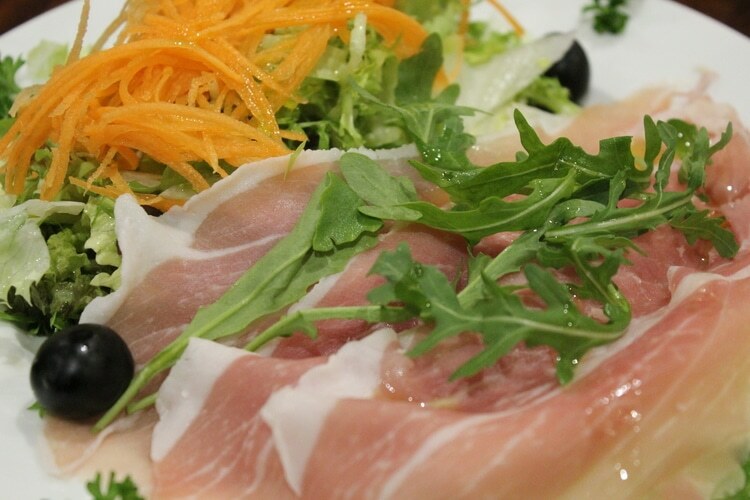 I love parma ham and melon and Carlo explained we have to have it as it is such a fresh start to a meal. Again, a great tip was not to use pepper on the dish as you get the full flavours of the meat and melon and it almost cleanses the palate for the next course. We move on to the pasta and fish courses and are treated to an amazing glass of Italian Pinot Grigio to compliment the dishes. 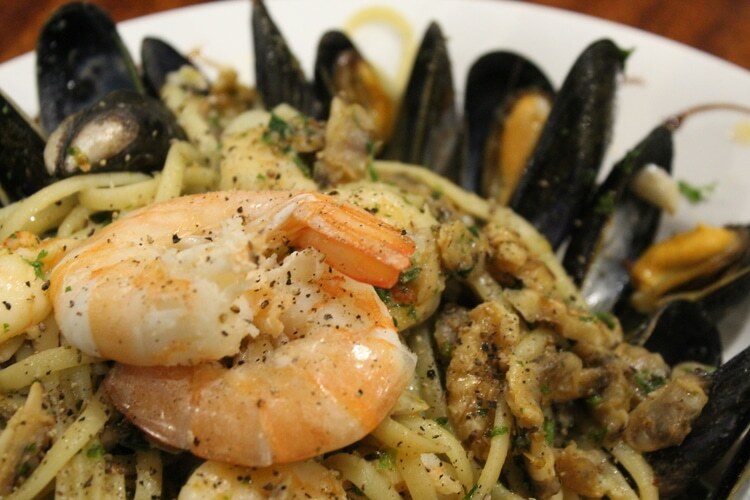 Placed in front of us is the linguine alla Luciano, which is pasta cooked with clams, mussels, prawns and walnuts and seasoned with chilli and garlic. I love my shellfish and this was no disappointment, you can taste the sea and you can tell the quality of the produce they use. Having built up a wonderful relationship with their suppliers through their long history, the dish is a feast for the eyes. We are also served fillets of sea bass cooked with king prawns, pan fried with white wine and served with the best roast potatoes. The fillets of sea bass are wonderful with the buttery, wine sauce and everything so far has been cooked to perfection, hats off to the chef and Al Duomo this is a superb dining experience. I am excited for the meat course as it is a personal favourite of Pollo Milanese, crumbed chicken breast fried in olive oil and served with spaghetti Napoletana. The breast is moist and succulent and the crispy coating has a tasty crunch. The pasta has a nice bite to it and I love the simple, classic tomato sauce; add a little squeeze of lemon to the chicken brings everything to life. Almost full to the brim we watch the stone baked pizza oven crisp up our parma ham, rocket and grana Padano cheese pizza. I loved the taste of the smoke, the crispy bubbles that form on the edges and this pizza has it all, it is crisp, light and the plentiful on toppings. 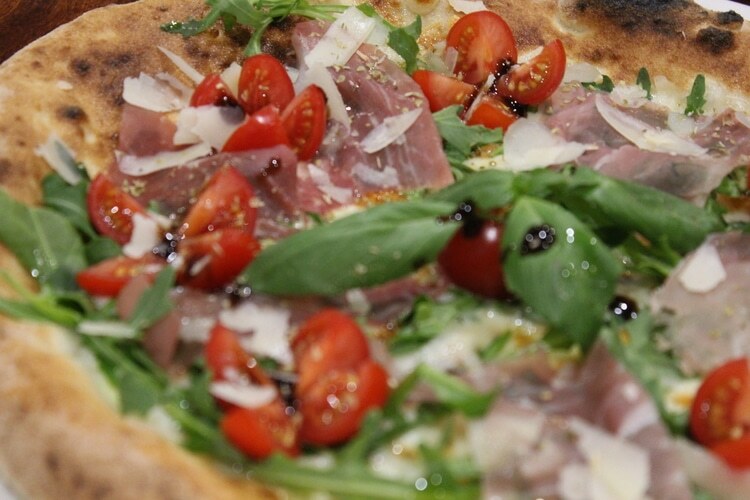 In a city with some great pizzas, Al Duomo is right there at the top with the best of them! 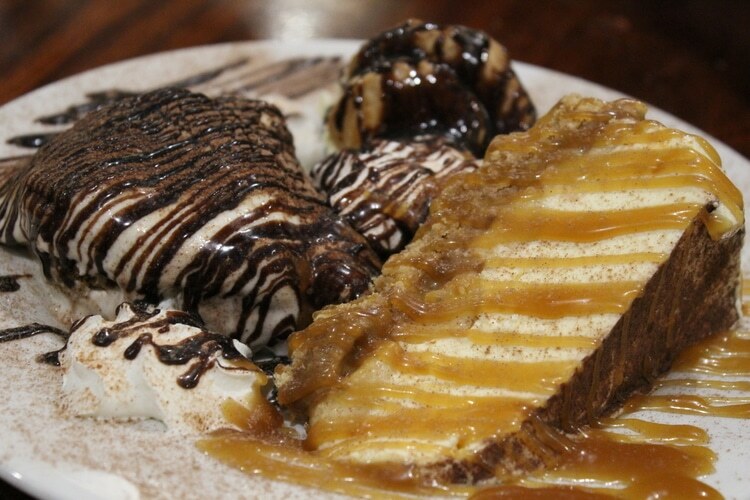 Full to the brim, we manage to keep a little room to try their tiramisu, banoffee pie and the homemade profiteroles. All of the desserts deliver as much flavour as the rest of the amazing courses, but the rich flavour of the tiramisu with a wonderful aftertaste of strong fresh coffee completely stole the show for me; a complete triumph.We have been so welcomed and so impressed with everything, from the food to the attentive staff and wonderful atmosphere we will be back. This may now be my favourite Italian in Brighton. A perfect end to the meal, we sit back, relax and share an espresso and limoncello with Carlo and hear the wonderful family stories of his childhood in the Al Duomo kitchen. We have been so welcomed and so impressed with everything, from the food to the attentive staff and wonderful atmosphere we will be back. This may now be my favourite Italian in Brighton. A perfect end to the meal, we sit back, relax and share an espresso and limoncello with Carlo and hear the wonderful family stories of his childhood in the Al Duomo kitchen.